All bowls served with lettuce, cucumbers & sprout, garnished with green onions, peanuts & dried red onion. Served with side of diluted fish sauce. 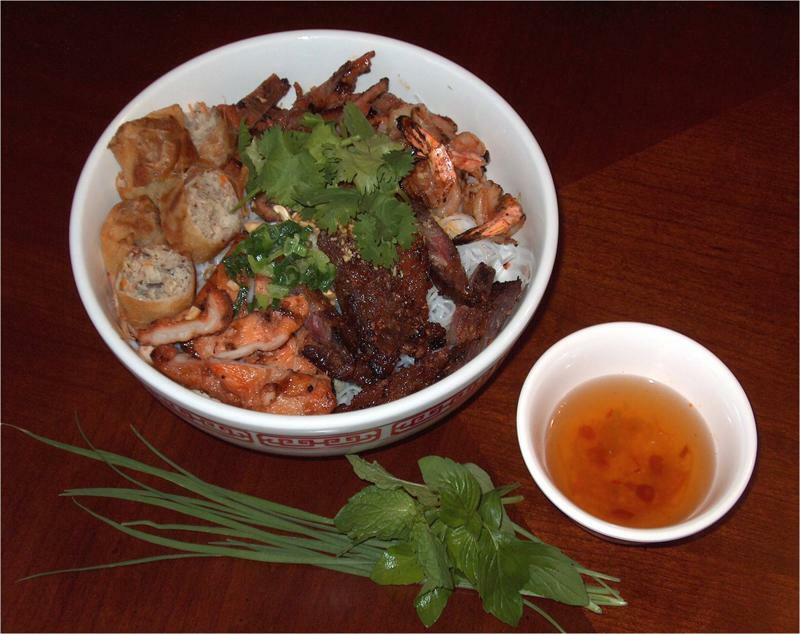 Combination of grilled beef, pork, chicken, shrimp, & egg rolls.